PEER PRESSURE. STRANGERS. THE DOBERMAN NEXT DOOR. Every kid has been warned about them. But the safest kids are the ones whose parents have taught them what to actually do about them. The “don’t talk to strangers” sermon only goes so far when what he really needs to know is which way to run. Yet you can help your child outsmart danger. In addition to the usual do’s and don’t, teach her these real life, streetwise strategies. If all bikers of all ages wore helmets, it would prevent one head injury every four minutes and one death a day in the United States. Add to that the injuries that could be prevented if helmets were always worn with in-line skates and skateboards, and we’d be saving something like the entire population of a small city. “Two of the biggest reasons kids don’t wear helmets are (1) no one taught them to buy them, and (2), if their friends don’t wear them, they don’t think it’s cool,” says Richard A. Schieber, M.D., medical epidemiologist at the National Center for Injury Prevention and Control at the Centers for Disease Control and Prevention, in Atlanta. Helmets reduce the risk of head injury by 85 percent and the risk of brain injury by almost 90 percent. If Pearl Jam wore protective gear instead of “grunge” you wouldn’t have to do a thing. But for now, you’ve got to be firm (the “wear it or don’t skate/bike” rule). Build the habit early. Wear your helmet while you’re supervising junior’s first ride. Find out if the law is behind you. Nine states and 18 communities already have laws mandating kids’ helmet use. See if the neighbors’ kids need helmets, too. Buying in bulk may drop the price. Choose one with the ANSI Z90.4, Snell Memorial Foundation or ASTM seal-of-safety label. WHAT TO TELL YOUR KIDS? Go pro. Get the same helmets worn by the likes of professional road racing cyclists Greg LeMond and John Tomac. Remember that helmets only last through one wreck. Your bike helmet is fine to use for inline skating, roller-skating and skateboarding, too. Don’t let Dad pick it out. When picking out your helmet, look for something plain so your favorite stickers show up. Or head for Giro’s “Fat Hat,” a helmet that looks like a baseball cap. You can even wear the brim in the back. Have a comeback. Tell the twerps who are teasing you that you need protection at the speeds at which you travel and that maybe someday they’ll need the same thing. Or mention that because you wear a helmet, you can have more fun every day without being benched by an injury. Firearms are an emotional issue. But physicians argue that they’re a health issue, too, since 1 out of every 10 children and adolescents who die is killed with a firearm and many more are injured. For teen boys alone, ages 15 to 19, the rate is even higher. It’s best not to keep a gun in the home where children live or visit, experts say. If you do have a gun, your best safety strategy is to keep it unloaded and locked up. Better yet, lock the gun and ammunitions separately, and keep the key with you. When you know your own turf is safe from firearm injuries, ask about the homes where your child plays. Another important step is to deglamorize gun use by talking to your kids about the dangers of guns. Walk away. Memorize this motto and use it whenever you see a gun or other weapon: “I will not touch it. I will leave the area right away. I will tell a grown up after I leave because I want to be safe.” That goes even if it’s at your best friend’s house. You can’t single-handedly childproof the neighborhood, but by being aware of the dynamics of strangers, dogs and bullies, you can help your child do something about them. Dealing with people they don’t know… Strangers don’t always look like they’re strangers–they can look like neighbors or other kids’ fathers. Reinforce that the bad guy doesn’t always look like Freddy Krueger. If you’re going to be late picking up your child, call ahead and have a teacher stand with him until you arrive. If you have to send someone who your child doesn’t know, determine a password ahead of time. It shouldn’t be anything obvious like “Ninja Turtles”. 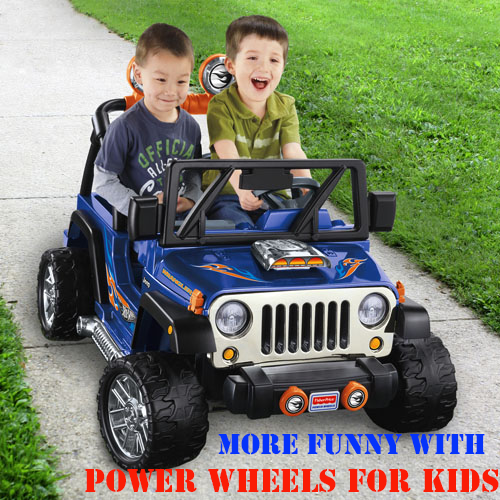 Tell your child not to get near a car until he hears that password. Know where to go. Have some checkpoints between home and school, or home and after-school activities, where you can run and be safe if necessary. For instance, if you haven’t crossed Main Street yet and you spot trouble, run back to school. Or if you’re past Main Street, run to the convenience store. Work out these routes with Mom or Dad. Go the other way. If a car approaches you and someone starts talking to you or wants you to get inside, say “No!” and run in the opposite direction the car is facing. You can get away before the driver turns the car around. Let the machine get it. “Don’t talk to strangers” goes for over the phone, too. Let the answering machine take messages. You can always call back if it was someone you know and Mom and Dad approve. Dealing with dogs…When the dog/kid meeting goes awry, it’s usually because kids are very friendly or super scared. Not all dogs are friendly and friendly kids head for dogs on chains or reach through fences or car windows to pet them. The only way these confined canines can defend their turf from an outstretched hand is with their teeth. Scared kids scream and run. Dogs can mistake these screams for injured prey. Running gets dogs more excited. 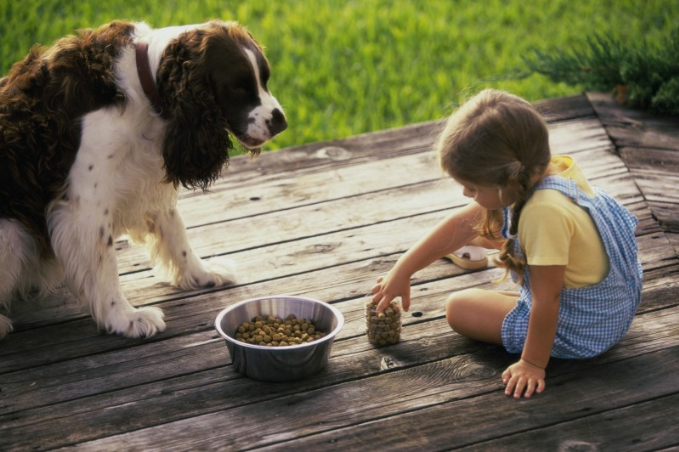 Ideally, kids under the age of seven shouldn’t be alone with a dog, even if they’ve met the pet previously. Most kids are bitten by dogs they know (often their own!). Take the T-approach. Once you have permission to approach a dog, remember that a head-on approach makes a dog feel threatened. So go to the dog’s side and hold out a hand, palm down, for sniffing. Pet the shoulder or under the chin, not on the top of the head. Feed it your homework. If a dog is barreling toward you and barking, stay still and place something between you and it–your homework, your knapsack, your bike or your skateboard. If he’s interested in biting, he’ll chomp at the closest object and then back off. Handling a bully… About one in seven schoolchildren is either a bully or a victim. That means this affects approximately 5 million U.S. children under age 15. Kids can only do so much on their own about bullies. Few kids feel good about telling a teacher they’re being picked on, even though it’s a great strategy. As a parent, the best thing you can do is NOT tell your child what to do. Instead, work together to find options he thinks are dignified and acceptable. Then rehearse them. Think first. Using your fists rarely solves anything, because when you get mad, the bully usually becomes even more of a bully. If he’s hurting you, run away or do what you need so you can get away. If that involves anything physical, make sure you know the risks of doing it. Ask yourself, Will this stop him? Does he have a knife? Will this make him madder? Have the options rehearsed before you meet him. Knowing what to do might make you look confident enough that he won’t pick on you in the first place. Finally, this is the time when children can spend time playing while pencils, notebooks and other practical stuff have been packed tidily. Obviously, not only children but parents also wait for this time as well since people can have more time to participate in outdoor activities and explore the new thing in the natural environment. However, the one thing we want to tell you is that besides those fun activities, parents should also beware of the potential risks that can happen to your child during the playtime. Although the methods for preventing illnesses and injuries are posted everywhere on an online website or even books, this article will provide a detailed brief of tips for you to keep in mind easily. Based on the research of The National Safe Kids Campaign, there is at least one in four kids who suffer from a dangerous accident when playing during the summer every year. Since people don’t just play at home, but travel to the beach, forest or even walk in the valley, there are many things you should keep in mind. In terms of clothes, bright colors are beneficial since they not only bring the cool feeling when wearing but they’re also easy to help individuals spot the tick immediately. If your child is wearing one pair of long pant, just tuck it into the socks to prevent insect from getting to your skin. In the market, there are various repellents contain the DEET or permethrin, two main ingredients which can help people get rid of the natural insect by applying onto the skin. However, when choosing one type for your kids, pay attention to the concentration or even the drawbacks happen for individuals who often allergic to the strange ingredients. If you are traveling to woods or tropical forest, you must be aware, since insects tend to appear under the grasses or heaps of woods. In addition, wet places such as ponds or lakes are areas you should also keep in mind. According to the scientists, the tick-bone issue can put people in dangerous situations. Therefore, parents should try to check their children since the child does not have enough knowledge to understand the importance. Check the body and other parts of each member in your family every night. If something happens, you can be prompt and found it easier to deal with the problems. Don’t forget to check the space under your arms, neck, between legs or your feet. Knowing how to remove the tick spot is not hard. First, you need to use the fine-tipped tweezers to take it out. Try not using your bare fingers. After that, clean this area carefully to prevent the infection. 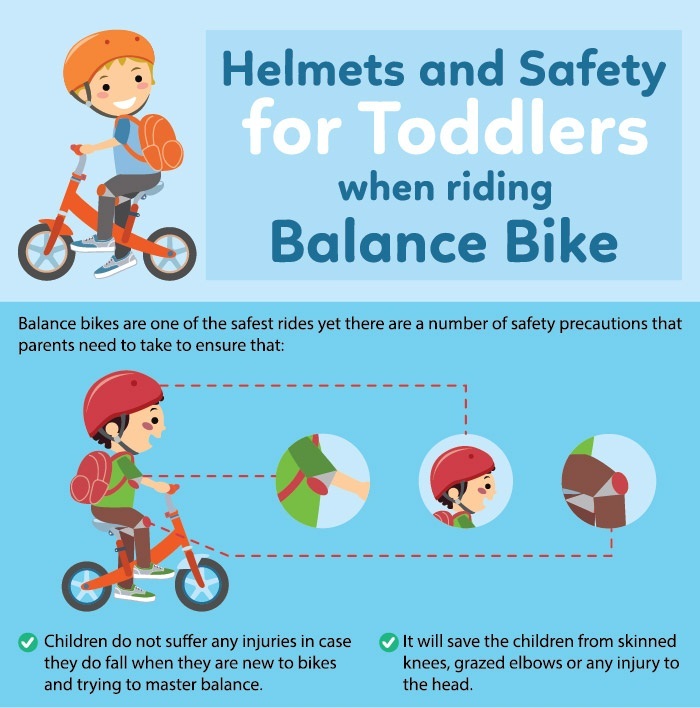 Therefore, wearing a helmet will reduce the risk of having accidents like the ones mentioned above.When purchasing this product, it is highly recommended that individuals chose helmets approved by the Consumer Product Safety Commission (CPSC). Make sure that the bicycle’s design is suitable for your kid to make sure they can put the feet safely on the playground. Besides the normal bicycle, parents now can get familiar with the balanced bikes, one type of bike which offers the intense protection and boost the self-confidence of your children from very young ages. If you are the type of person who pay strict attention to the health, we’re sure you will know that drinking a lot water is a must to have a healthy lifestyle and maintain the elasticity of your skin. Apart from adults, kids are the ones that need more attention in term of hydration. Therefore, the best solution is to remind your kids to drink regularly. According to The American Academy of Pediatrics (AAP), kids who are practicing outdoor sports should consume at least 5 ounces in every 20 minutes. Besides the fresh water, drinking more fruit juice and nutritious supplement is also a great idea. When children receive blistering sunburns, it will increase the risk of getting cancer and dangerous melanoma in the future. For this reason, it is important that parents explain the importance of putting on sunscreen. There are two types of rays including UVA and UVB , which kids need to prevent. People commonly think that sunscreen should be applied to the skin during hot and sunny days. However, you should also apply sunscreen during the winter and cloudy days. Ideally, sunscreen with SPF 30 is a good choice and you will need to apply it approximately 30 minutes before getting exposed to sun rays. If you are considering applying both the sunscreen and repellent on your skin, apply sunscreen first then apply the repellent. During the summer, most families often think about going camping inside the forest or local park besides travelling to the beach. If you go on a picnic outside the house, try to use canned food or convenient products sold from the store. Try to avoid bringing along ingredients that require refrigeration or that quickly go bad. When grilling, it is not safe to leave the children near the area, as it can cause them to get burned. If your family decides to consume food made by yourself or cooked using barbeque or grilling pots, don’t forget to check the temperature of food, or even the cooked state to ensure it is properly cooked. Overall, summertime is the period when children are excited because they can participate in various outdoor activities, travel with family and hang out with friends. Among those things, individuals, especially parents, need to keep in mind their children to protect them from several accidents that can happen during the playing time.